Belper sits within the beautiful Derwent Valley, which is close to the Peak District and significant in world history as the birthplace of the factory system. Here, new types of building were erected to house ground-breaking technology for water-powered manufacturing. The system developed here was copied across the globe which is why the Derwent Valley Mills were inscribed on the UNESCO World Heritage List in 2001. Cromford Mill, at the north end of the site, now hosts a visitor centre which introduces people to the story of Richard Arkwright and how it fits within the wider World Heritage Site. It was at Cromford in the 18th century that Arkwright devised modern factory production techniques. 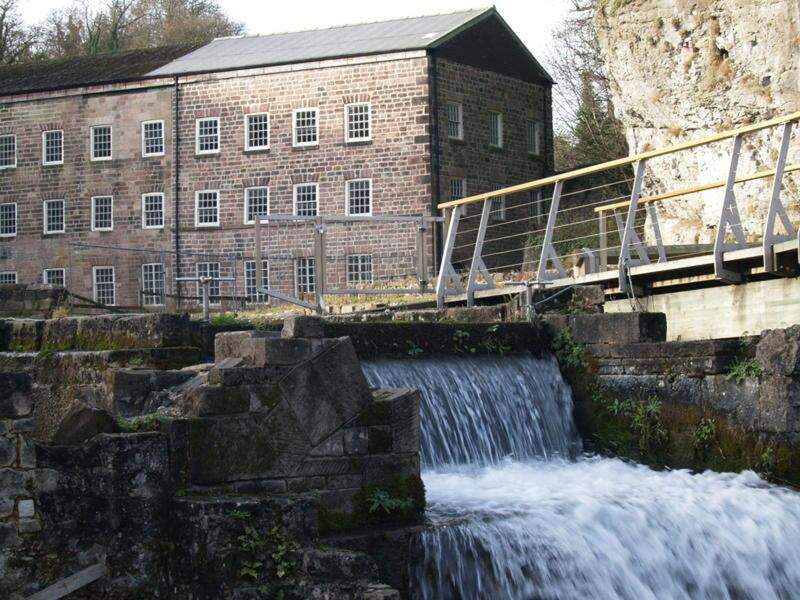 At Cromford, the viewing platform in the mill yard will give you a great view of water gushing through the wheelpit – you get a real sense of water power. 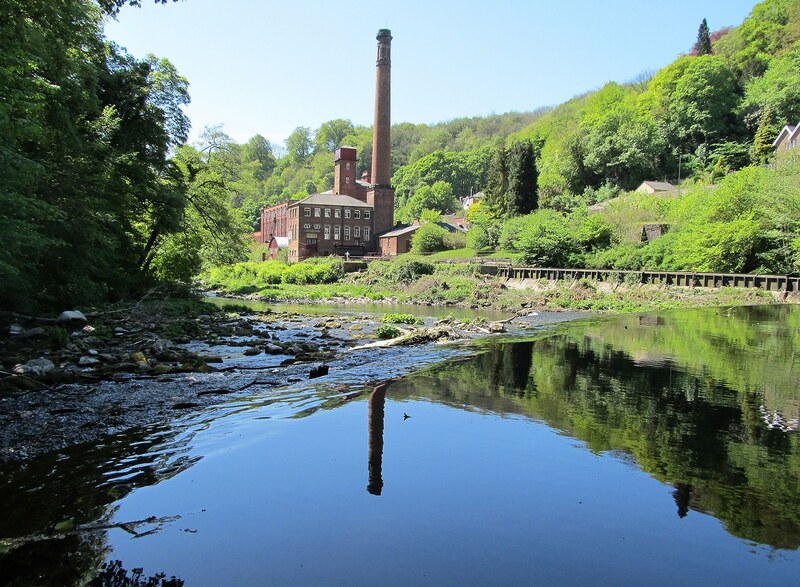 A short walk away are Sir Richard Arkwright’s Masson Mills, built in the 18th century on the banks of the Derwent, designed to reflect the grandeur of its river gorge setting. Masson Mills now house a working textile museum and shopping village. Visitors experience the atmosphere of a working 18th century cotton mill. In Cromford village, North Street contains the first industrial housing in the world. Across the A6, beyond Cromford Mill, is Willersley Castle, built as a ‘mansion house’ for Arkwright and now a hotel. It has a spectacular landscape setting. Walking south from Cromford, take the Cromford Canal towpath from which you’ll see a rich diversity of wildlife. You’ll soon reach High Peak Junction with its early railway workshops housing a small museum. Nearby is Leawood Pumphouse, which can occasionally still be seen in action, pumping water from the Derwent into the canal. At Belper, as well as the North Mill, you’ll see the Georgian horseshoe weir built to create a head of water to power the mills. The red-brick East Mill is prominent– a 1912 steel framed building. Nestling at the side of the East Mill are the River Gardens created by George Herbert Strutt which provide an attractive setting for Sunday concerts and boating on the river in the summer. South of Belper is Milford, where the Strutt‘s mills have now been demolished, but you can still walk around the village and see the millworkers’ houses. Further south, on the approach to Derby, are the Darley Abbey Mills, now used for light industry. 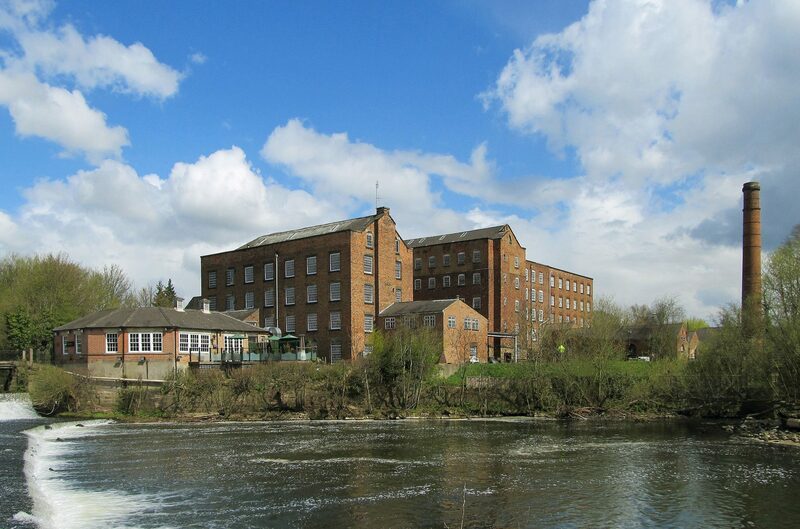 Although the mills aren’t open to the public, the workers’ housing can still be seen and nearby is Darley Park, offering an attractive walk into Derby city centre. 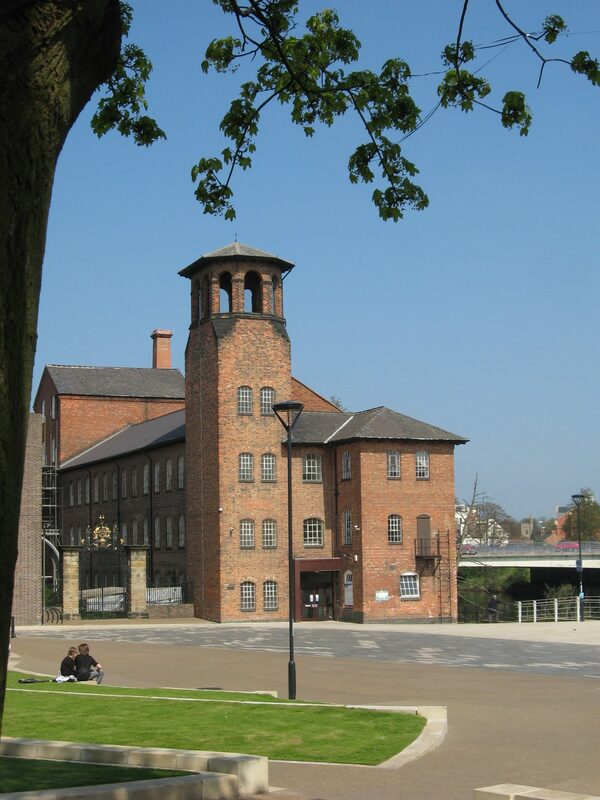 After the park ends, you soon arrive at the Silk Mill, arguably the world’s first factory. The layout of the mill was a model for the later textile mills built for Arkwright and partners 50 years later. The Silk Mill is currently being transformed into Derby’s new Museum of Making and is due to reopen in 2020. Within the British Isles, sites as diverse as Stonehenge and Avebury, Blaenavon Industrial Landscape, the Giant’s Causeway and Causeway Coast, and the City of Edinburgh help to make up the UK’s heritage. Their position on the World Heritage List ensures that they will remain a part of our global heritage for generations to come.